The high-pressure pumps in the BM0310 N24mm is able to operate at a pressure of up to 250 Bar and This type of pump is also used in tunnel car washes, mainly for large ones considering the large volumes of water it can handle; it is not suitable for self-service facilities. Car Wash High Pressure Water Pumps is designed for varieties of high pressure cleaning applications. 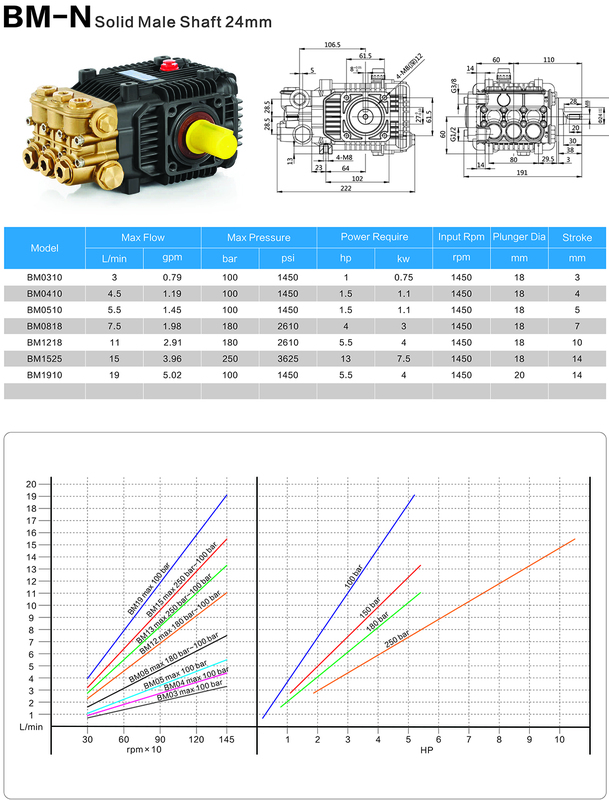 The construction of the pump has die-cast crankcase, forged brass head, the internal components include solid ceramic-coated plungers, tapered roller bearing, one-piece connecting rod, and stainless steel checking valves. 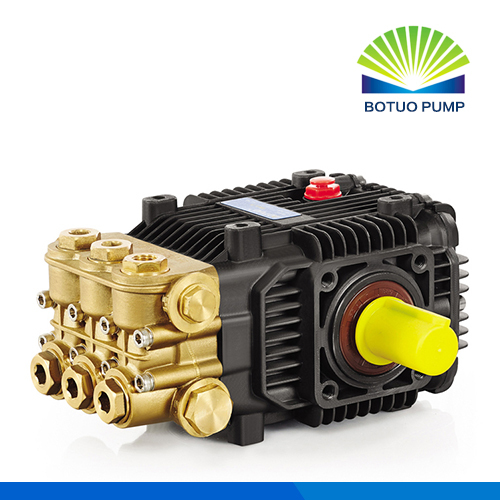 The pump has the options of gearbox , belt drive, or coupling drive with electric motor, or gasoline, diesel engine. Looking for ideal High Pressure Car Wash Pump Manufacturer & supplier ? We have a wide selection at great prices to help you get creative. All the Car Washing Pistion Pump are quality guaranteed. We are China Origin Factory of Floor Washing Pistion Pump. If you have any question, please feel free to contact us.